Rooftops are often overlooked when it comes to design and architecture, but this should not be the case. 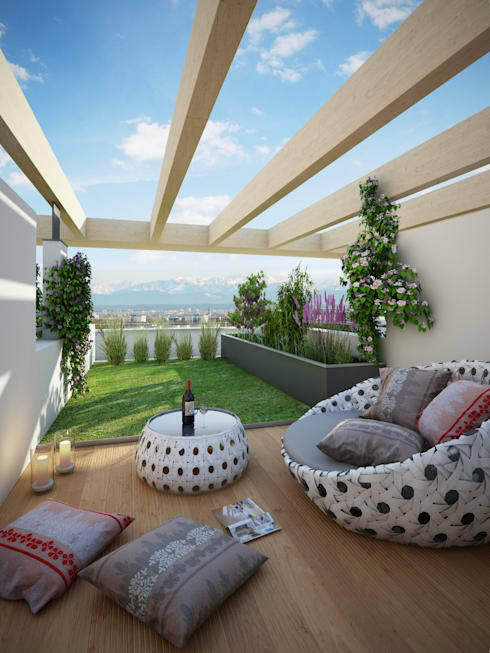 In fact, with a little bit of imagination and creativity, a rooftop can be a very savvy space that completely extends your living area and gives you access to views that you otherwise wouldn't be privy to. This is why today at homify, we've put together 12 fabulous rooftop ideas from top professionals from around the world. These will inspire you to transform your rooftop into something far more functional and far more stylish. These little nifty tips and tricks are also easy to implement and will leave you itching to get started on your own rooftop design and decor. 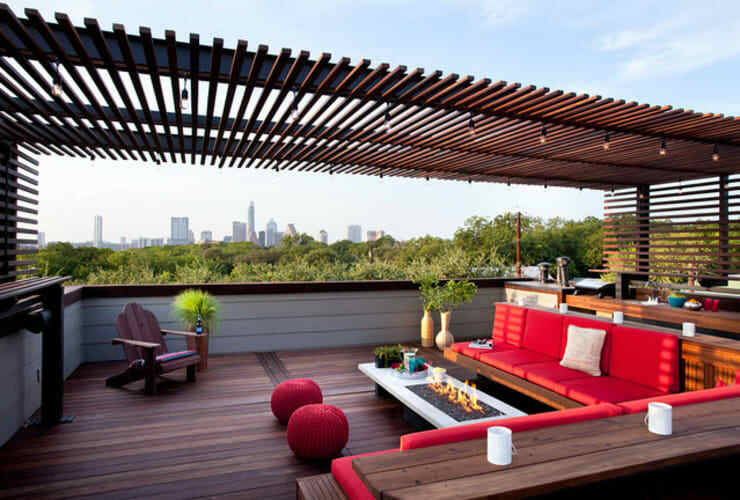 A pergola adds a subtle form of shelter to a rooftop terrace or balcony, while adding a stylish twist to the design. You can also hang plants, lanterns or flowers from a pergola, enhancing the beauty of this space. Wood is a great material for a pergola, adding a warm and earthy touch to a rooftpo. Integrating nature into design and decor is always a great idea, adding subtle and refreshing beauty to a space. 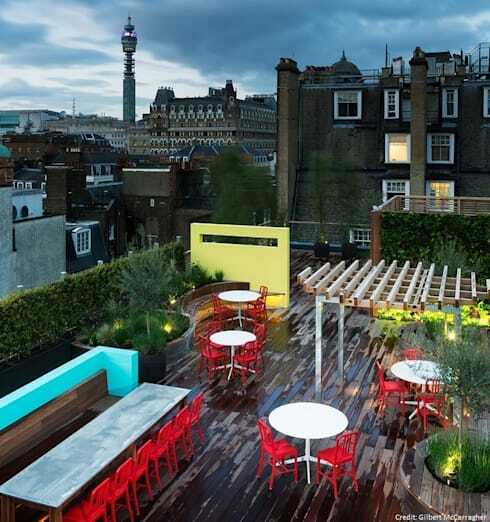 A rooftop terrace is no exception! Add a patch of lawn, some plants, flowers and pots for an inspirational space that makes you feel at one with nature. Don't be afraid to add some bold and bright colours to your rooftop, like these designers have done. A bright red chair or a gorgeous yellow wall can create a rooftop that really makes a statement. Paired with neutral flooring and green plants and trees, this is the ultimate combination. While your rooftop will need to feature some durable and sustainable furniture, don't be afraid to go for modern pieces that convert your rooftop into a comfortable and cosy additional living area. In this image, we can see how circular chairs have been paired with plush cushions, which create the ideal outdoor area for relaxing with a good book or entertaining friends. The cushions can be moved inside when this area is not in use. 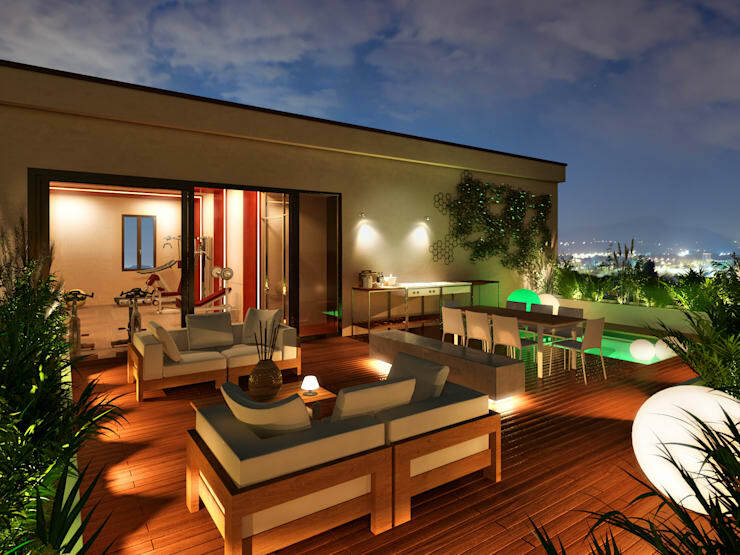 Strategically place little lights on your rooftop so that they will enhance the details of the space. Use them to illuminate bushes, plants and flowers as well as create a beautiful soft ambiance that is warm, romantic and appealing in the evening. In South Africa, we are lucky enough to have incredible surrounds, whether we live by the sea, in the highveldt or near the mountains. Your rooftop gives you access to the surrounding landscape so allow this to truly be the focal point. With fresh air and sunshine, the views become the ultimate beauty. 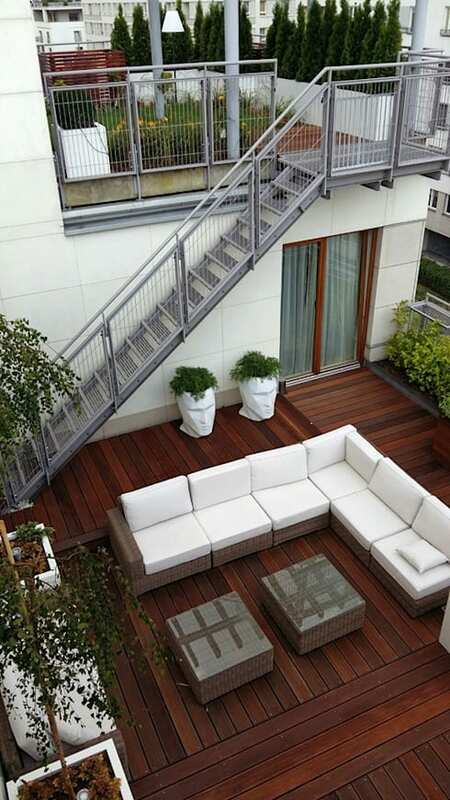 Wood is a great material for the flooring of your terrace as it is non-slip and durable, lasting in all weather conditions. As we can see in this design, it is also classic and timeless and will stay in fashion for many years to come. It works well with any type of furniture or design too! Introduce raw materials into your rooftop design for a very natural yet edgy and sophisticated look and feel. 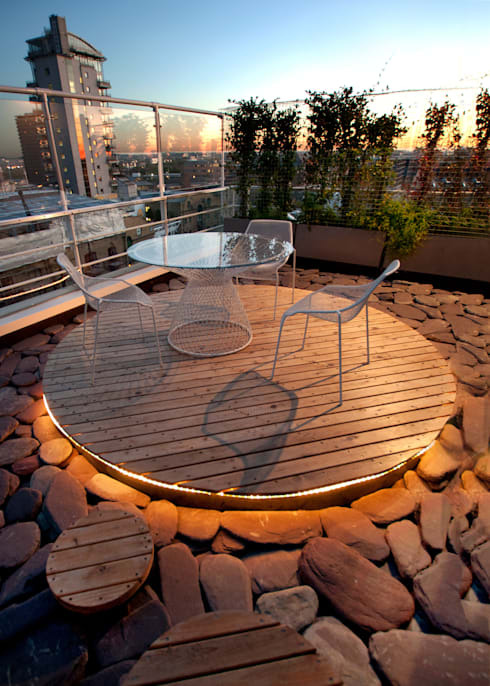 In this image, we can see how a wooden deck complements the large stones that surround it. This further contrasts with the glass railings and the plants and trees. 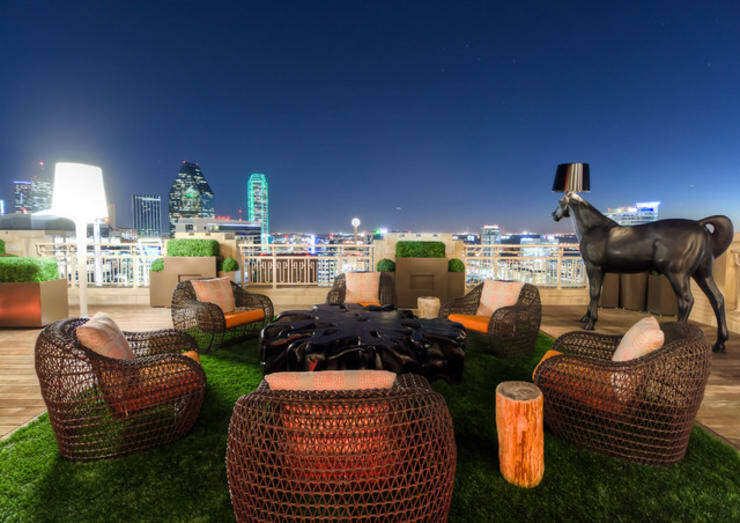 A rooftop is the ultimate place to entertain friends and family—without messing up your home! 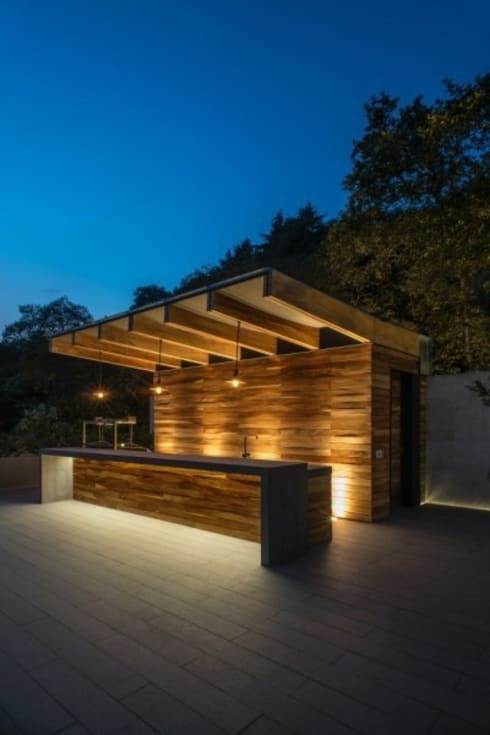 Why not build a bar area where you can serve cocktails, glasses of wine and cappuccinos? You'll have the best view in the city too! If you have the space, install a swimming pool on your rooftop. This will make the space even more functional and give you a spot to cool down in summer. Imagine relaxing in the cool water with views of the surrounds! As South Africans, we love an opportunity to braai outside in the fresh air. 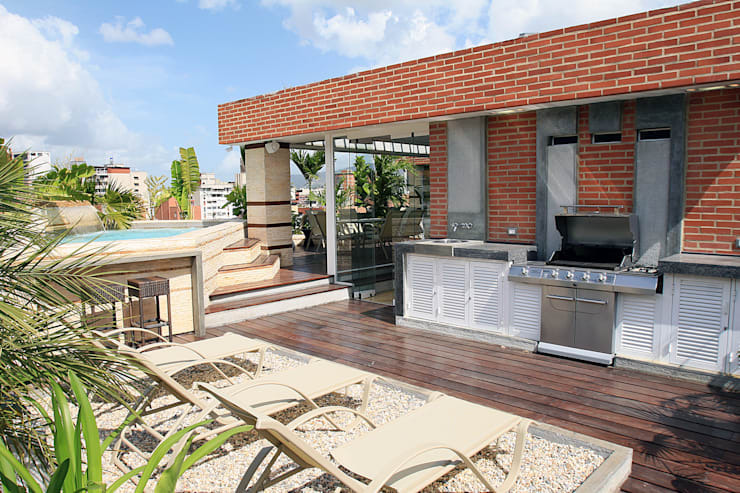 Install a braai area on your rooftop for the perfect outdoor cooking area. Have a look at these 14 braais you'll want this summer for inspiration. Just because it's outdoors doesn't mean it needs to be devoid of character and charm. Use this space to allow your personality to show. Add decor elements, cushions and rugs as well as anything else that represents who you are and what you enjoy. 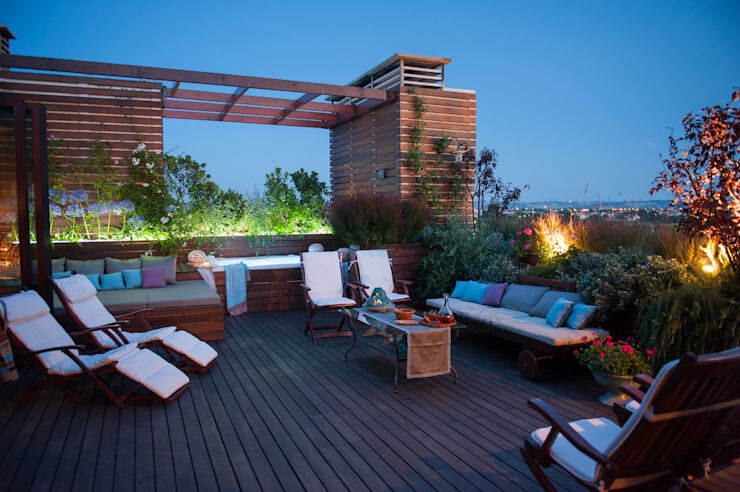 If you've enjoyed this article, you'll also love these 7 wonderful roof terrace ideas.